A fisherman's take on tackle, fishing techniques and the sportsman's life in general. 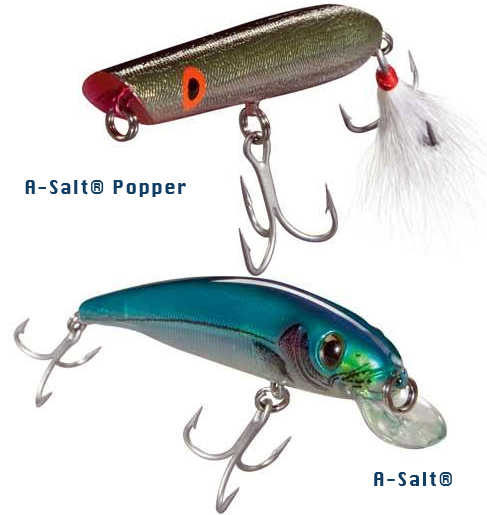 Saltwater lures for freshwater fish? – Fantastic Bomber Saltwater Grade tackle has me thinking outside of my tackle box. Saltwater hard baits have always been a weakness for me when it comes to adding lures to my tackle collection. Generally speaking, their colors and patterns are fantastic, looking great on the wall and in the package. With respect to actually wetting a line with one, sometimes as fresh water fisherman we need to think out of the box, as in out of our tackle boxes and into those of our salty peers. What I’m saying is that you can’t be afraid to mix it up a bit, as saltwater fishermen have at their disposal some fantastic hardbait and tackle offerings that those of us away from the coast – in my humble opinion - can really take advantage of. To that end, Bomber Saltwater Grade tackle is a line of baits I personally have added to my collection, and plan to soon start throwing. In fact, I wouldn’t hesitate throwing any hard bait in their lineup - in the right freshwater condition – as it’s all about presenting the fish with something they haven’t seen before. You don’t have to worry about the quality and construction of these baits - they are built to withstand the variable extremes of the ocean, as well as the crushing power (teeth) of the quarry found within; heavy duty hooks and terminal hardware abound. Enjoy the eye candy below! 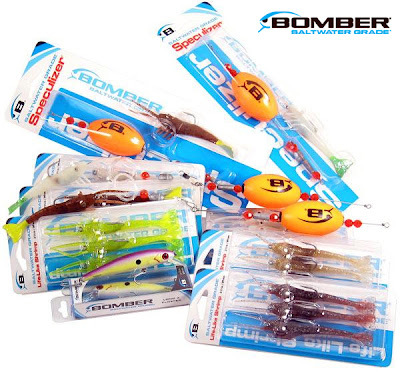 Bomber Saltwater Trout Assortment - Speculizer rigs, Life-Like Shrimp and Floating Long As. Note: I really like the idea of popping cork rigs with soft plastic trailers for Bass. It’s an idea I have been thinking about for a while now. 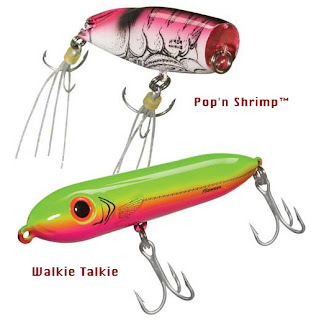 Two great saltwater top water baits that would make any hungry bass drool. These baits look great as part of my in-package collection too! 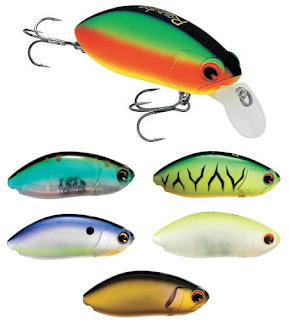 Topwater Bottom Line: Bomber has always made great lures - I have many in my freshwater collection - and their Saltwater Grade line is no exception - these baits are built to last and catch fish. Why not show freshwater fish something they haven’t seen before, be it Bomber’s hard or hard/soft saltwater (e.g. Redfish Flasher Curltail) baits. 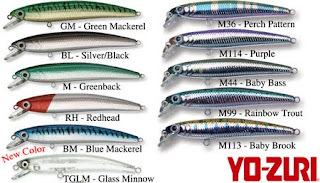 These lures are priced nicely, ranging from between 6 to 11 dollars per unit (approximately). As always, please practice catch and release with these lures. It's always a good Idea to try something different when fishing on pressured waters, and these quality baits will fit the bill nicely. I can’t think of a better animal to name a spincast reel after – Zebco’s Rhino RSC Spincast Series. I fish with spincast reels. There I said it, and you know what? I’m proud of it. I appreciate their simplicity. I love their relative value for the dollar, and I admire their overall tenacity, quirkiness and pick-up-and-play attitude. For the past three seasons I’ve been giving the honored duty of throwing my top water plugs to spincast reels - and let me tell you I’ve put them through hell (and sometimes back). Sometimes they’ll stall, and sometimes they’ll bark back, but for the most part I’ve received much satisfaction in using closed-face reels for this style of fishing. Truth be told, I don’t think I’ll ever go back to a spinning or baitcast set-up for lobbing hard plastic fantastic frogs around the lily pads, reeds and blown down slop. One of the Spincast reels I used last season (and plan to use again this season) is Zebco’s Rhino RSC3 Spincast Reel. I love this machine for a whole number of reasons, not the least of which is its name – don’t we all want to go into battle with a machine called Rhino? Another reason for my admiration is its rugged good looks, with its black rubber thumb bar and just the right amount of black, red and aluminum accents. Heck, it’s even got some guts in it, what with a 3 bearing drive and something called “Helical-cut worm gears” – that just sounds great when I say it out loud - Helical-cut worm gears – sounds like something under the hood of a custom Chevelle Super Sport. In any event, the reel has performed flawlessly for me the times I have used it, and since my main closed-face reel finally went belly up at the end of last season (I beat her like a rented mule and I kept her handle as a reminder), I will rely on this new brute to do all the heavy lifting for this upcoming season. Topwater Bottom Line: Most anglers view closed-face or spincast reels as beginner reels or the reels they give to their kids, wives or little cousins when they accompany them on a fishing excursion. I don’t view them quite the same way. I’ve found spincast reels to be quite reliable when it comes to tossing my top water plugs, but most importantly for me, they hark back to a simpler age, when fishing was fun and was something you did with your little dog Spike at your feet, a tin pail of worms under your stool, the sun beating down on your face and your mother hollering at you because you were late for lunch. Call me nostalgic if you must, but I still get a big thrill reeling in a big bass on a closed-face reel. While they may not be as technologically advanced as their spinning and baitcasting brethren, reels like the Rhino RSC scratch me right where I itch, and for me that’s all that matters. 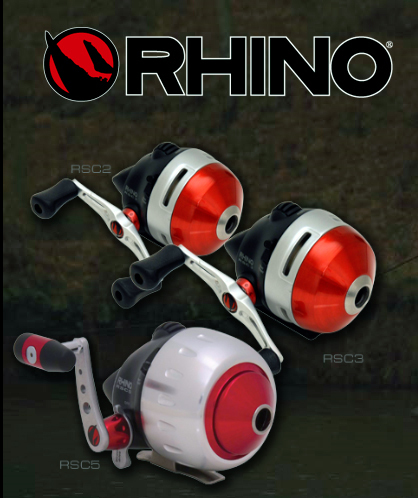 The Rhino RSC Series of reels can be purchased for about 23.99 per unit. As always, please practice catch and release with this reel. While closed-face or spincast reels may not be everyone's first choice, fishing is more than just catching fish in my opinion - it’s about the experience. And the type of reels I choose to use can only add value and ambiance therein. The Rhino series of reels do very well in that regard. A Monster book & a small lure – Strike King’s Baby King Shad is on deck. Each and every winter, I try to add a few pieces to my on deck line-up - I.e. a couple of new lures I can throw that the fish haven’t seen before. 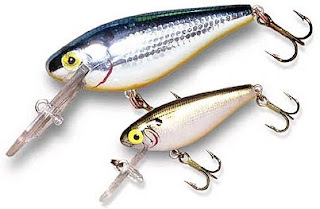 Today I’ll discuss one of those lures, the diminutive Strike King Baby King Shad Swimbait. This lure is a smaller take on its larger cousin, the Top Water Wake Shad. Now you must understand that I’m a bit of a sucker for shallow running hard swimbaits, and I’m also a bit of a small lure maniac (they simply catch more fish – big ones too in my opinion and experience), so when I laid eyes on this little beauty I was instantly hooked. What really caught my eye was the finish; that life-like, oh-so edible wet quality that certain baits have. Heck, I half-expected these tiny gems to start squirming in their plastic clam shells, their little gills furiously pumping. I realized that this bait, worked/twitched slowly on, or just underneath the surface of the water, may be quite good at getting big bass to bite early in the morning and on towards evening. Plus, the lure collector in me had to have at least one for my collection. From the myriad of colors, I settled finally on the attractive Blue Gizzard Shad version, and took my prized possession home. One I got it out of its fantastic tiny clam shell packaging, I realized that the hooks, though very good in quality, are a bit too big for my personal taste. In fact, I like to replace most of the hooks on the factory lures I actually throw with smaller prongs. I do this to minimize the damage I do fishes mouths and, though you will lose more fish, I find that smaller hooks work wonders for pressured fish – it’s all about maintaining realism right? To that end, I replaced both hooks, adding a Rapala feathered rear treble. I plan to through this lure on a medium action spincasting set-up, tied to 10 pound test mono. A feast for the eyes, and potentially for Largemouth Bass, Strike King’s Baby King Shad is a jointed 3", 1/2 oz detailed and molded swimbait with realistic finish and eyes – diving to a maximum depth of 5 feet. Topwater Bottom Line: I have read some reviews online which have questioned the joint in this swimbait. I haven’t thrown it yet, so I don’t know how it will hold up. However, the lure looks and feels like it is well made, so time will tell I would guess (tip: as with any segmented bait you need to have your drag set up properly). Visually it is stunning, and I am glad to have it in my collection and tackle box, something that may not be important to most fishermen. What can I say, I appreciate visual design. 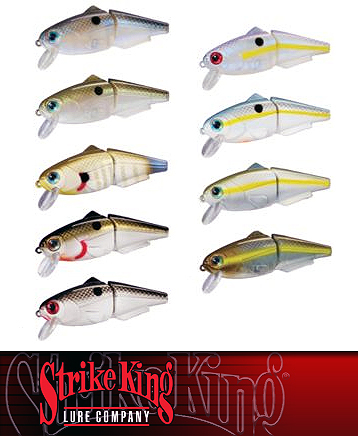 The Strike King Baby King Shad Swimbait can be purchased for about 14.99 per unit. As always, please practice catch and release with this lure. Available in a whole bunch of attractive colors, this segmented and diminutive lure should be quite effective wiggling just under or at the surface. I plan to find out this season. 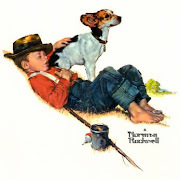 Cotton Cordell’s Wee C.C. Shad – They got this one right folks. My son is old enough now that he wants to throw lures like his dad does. Mind you, this is a recent development (as recent as two weekends back at the cottage) but a major development nonetheless. To say that I am proud of him is an understatement. He’s been “collecting” lures in his very own little green tackle box for quite a while now, and has amassed a veritable menagerie of this, that and the other – mostly consisting of lures (whose purchase I’ve approved of only after confirming a more than reasonable sticker price), assorted stick bobbers and even a plastic toy frog or two - add a few hooks to these babies and you’d be set for some topwater action… but I digress. As mentioned above, a couple of weekends back at my parents cottage, after an hour or two of watching dear old dad throwing and catching large panfish with safety-pin spinners and the like, he wanted to "one up" his old man by asking me to tie on one of his personal lures to the end of his Scooby-Doo Plastic Fantastic Spincaster. His selection? A six-inch stick bait. I steered him towards a more appropriate selection and suggested the Wee C.C. Shad by Cotton Cordell. He agreed, I tied it on, and he got to casting. I’ll tell you what, it didn’t take long at all for this little rattling, long lipped bait to scare up some monster Perch and Shellcrackers. And it wasn’t to long after that that the big green mouths came a' knockin'. My son was ecstatic that he was laying a beating on old baldy, and I was ecstatic that he was enjoying lure fishing for the first time - Truly a win win if there ever was one. 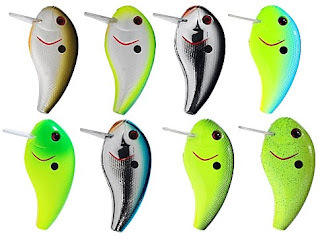 When lure designers get things right consumers get something that looks like this "little somethin'" – Hats off to the detailed design of this little bait, from its molded eyes to its finely etched scales. 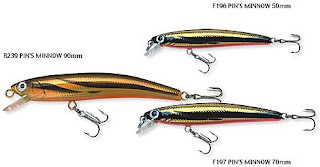 It’s subtle yet tight wobble, combined with what seems like millions of internal microscopic rattles that produce a cacophony of baitfish imitating sound, combine to offer the angler as close to a sure thing – in my humble opinion - as can be hoped for (assuming your fishing in water, and there are fish to catch). 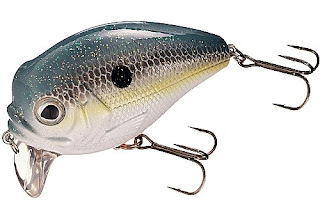 Topwater Bottom Line: In my opinion, this little shad crankbait is easy to cast, easy to work, and most importantly easy to buy, at 3.99 for both the C11 (1.5" 1/9 oz, Cranks 2-4') and the CD12 (2.5" 1/3 oz, Cranks to 8', trolls to 20'). I would suggest throwing this lure on a light action spinning reel set up with a thin diameter super or monofilament fishing line (If you want to throw it on a Scooby-Doo fishing rod like my little guy, well, buyer beware). I tossed this bait in skinny water and got great results, even though it is designed to get down a bit in the water column. As always, please practice catch and release with this lure. 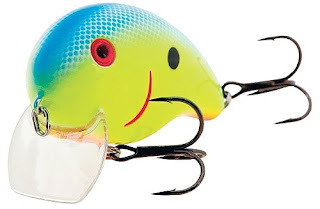 My son approves of this bait, and that’s enough for me – But why is this little lure a success? Because it does what all lures aspire to do – it looks, acts and sounds like what the fish are eating. The C.C. Shad, Wee version, has found a home in my tackle box, and even a spot in the daily rotation this season. The Daiwa Game Vibe - A great lipless crankbait that's worth its weight. I don't get a chance to fish as much as I would like to. Having said that, there is a lake that I get to fish almost daily in the summer - on my afternoon break (as luck would have it, there is a great little fishing lake not five minutes from my office). I get an hour for lunch, and while others choose to spend it at local watering holes, I typically I choose to spend it at the local fishing hole - different strokes. The sight of a grown man in a shirt, tie and slacks casting from shore does net me the odd look or two, but I don't care - I get to fish! So, having approximately 40 minutes fishing time (10 minutes travel time and 10 minutes to get my boots and gear together) I need to make some tough choices when it comes to lure selection. Seeing that this lake is a deep lake, and that I fish only from shore, I primarily throw rattling lipless crankbaits. To maximize my time fishing, I can't spend even a minute worrying about changing up my presentation, so I came up with a system that has worked for me - so far. I identified 10 different baits that I would be effective, and put them into a daily rotation (5 day cycle). For example, on Monday, I use Monday's lure, and throw it consistently for 40 minutes. I never use the same lure two days in a row (I will change up lure rotation depending on weather, season and light conditions). All things being equal however, I will stick to the set rotation - much like a professional baseball team uses pitchers. Today I will be highlighting one of the baits in the rotation, Tuesday's lure - a true star player, who I purchased at a very reasonable price - Daiwa's Game Vibe. The Daiwa Game Vibe is based upon the fantastic Daiwa TD Vibration. This value packed lure's tight wiggle emits a distinctive fish catching vibration. This lure sports an engraved scale pattern and "3D" eyes, and a great baitfish profile. Paint applications are effective, consistent, resilient and long lasting. A particular favorite of mine is the Black/Gold version, a pattern that mimics quite well the goldfish that people have released in the urban lake I fish - In turn, these goldfish have become baitfish to the Largemouth Bass and Pike. I throw this lure on a medium action rod and reel combination, spooled with 10 pound super line. Topwater Bottom Line: With two available sizes and 8 productive colour choices, the Dawia Game Vibe is a quality bait sold at an affordable price. At $ 4.99, this capable little rattlebait is an absolute treasure to have in your tackle box, and while there are more expensive crankbaits out there that may be more effective in particular situations, this value added bait is winner in most all situations. I recommend the Daiwa Game Vibe to any lipless hardbait fisherman. As always, please practice catch and release with this lure. 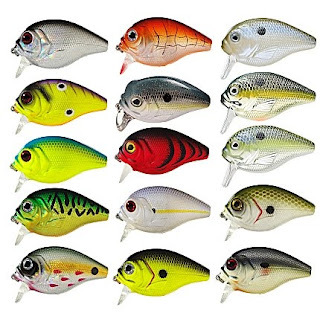 Egg Shaped Wakebaits - 3 Grade A performers offer fish a breakfast they'll bite on. I have a certain affinity for egg shaped wakebaits. I think it’s because they are so visually apealling and effective at catching aggressive predatory fish. They are particularly effective when large frogs and mice represent the major prey items. In fact, the specific type of fishing they represent is an exiting, topwater explosion filled one - and I’ll tell you, if I ever get the chance to fish the Great Amazon River or other water like it, I will throw these bulb-shaped lures for sure. Another sure thing is the three wakebaits I’d take on such a fishing excursion (detailed below), which just happen to be three of my favorite baits in my entire collection. Bass Pro Shops XPS® Lazer Eye Nitro™ Extreme® The Egg - is an incredible value, featuring: a wonderfully sculptured, egg-shaped body design; pronounced wild-eye "3D" eyes; loud rattles; wide wobbling action; and premium extra-sharp hooks. This wakebait will draw the ire of large predator gamefish. Built for shallow water and walking along the surface around fallen logs and lily pads, the XPS Nitro Egg (available in 2-1/2" - 3/4 oz. and 2" - 3/8 oz. - $3.99) will dive to no more than 1' when cranked. The lures rotund profile and exquisite available finishes combine for a presentation no bass, or lure collector for that matter, can refuse. As always, I use a light colored selection for early morning, blue skies or clear water, and a dark or fluorescent offering for evenings, overcast skies or stained water. This lure should be thrown on a medium to heavy action rod and reel combo. XCalibur's Xw6 Wake Bait - With a highly detailed and etched finish, three-dimensional panicked red eyes, molded red gill plates, top-of-the-line hardware (including Tx3 Trebles featuring three razor-edged cutting edges and VMC In-Line Technology) this quality wake bait is an absolute treat for the eyes and a big fish producer on the water as well. Mimicking a wounded baitfish or swimming frog, the XCalibur™ Xw6 wakebait (2-3/4''; 3/4 oz. - $9.99) bulges and pushes a huge amount of surface water as it aggressively shakes, rattles and wobbles its way along. 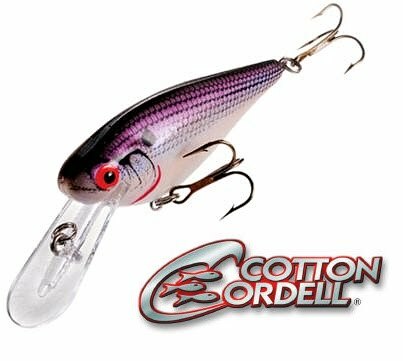 This lure is a fantastic addition to any modern lure collection and valuable tool in any topwater fisherman's tackle box. This lure is available in 8 beautifully finished candy coated colours. Since 1998, Ima Japan has produced incredible hardbaits for both saltwater and freshwater applications. With the introduction of their US office in 2007, the company has been able to bring those same innovative, imaginative and realistic pro-inspired lures to the American Market. One of those lures is the Rattlin' Roumba (3", 1/2 oz. - $16.99) - an update to the original Roumba design inspired by professional bass angler Fred Roumbanis. This wakebait virtually dances across the surface of the water, as it rattles away just above submerged weeds, adjacent to lily pads, or along undercut shorelines - calling fish as it goes. This lure features class-leading paint applications (Double Cheeseburger, Ghost Minnow, Firetiger, Blue Shad, Sour Candy and Gold/Black), molded gill features, "3D" Ima eyes and premium Owner hooks. 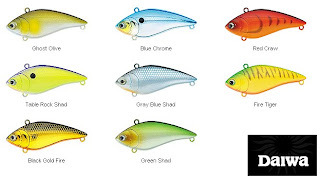 I just recently managed to pick up one of these lures for my collection and I was amazed on sight at its incredible design and quality finish. Pin's Minnow - Yo-Zuri's pocket-sized baitfish imitator is a big fish catcher. This season I plan to go small and slow - i.e. I will be throwing smaller baits then I did last season, and working them slower. The reason is quite simple; I’ve discovered that smaller, realistic lures attract bigger (and of course larger numbers of) fish on pressured bodies of water. Though I'm happy to report that catch and release is commonplace amongst most bass fishermen these days (and this bodes well for the continued development of a sustainable fishery), there are a good number of people fishing today, and thanks to the instant dissemination of information via the world wide web, most of those fishermen are well educated on which baits to throw, how to throw them and when to throw them. The result is an educated class of bass, growing up with a first hand knowledge of what a lure is and when to be wary. My theory is that by throwing small, realistic looking lures, these fish can be still fooled into striking - repeatedly. The diminutive size of these lures lowers the defenses of cautious bass, and the anatomical detail/paint seals the deal. I guess you could call it finesse fishing, but I prefer the term forage fishing - trying to match the hatch and/or baitfish as best you can. Having said that, I do believe larger baits catch larger fish on seldom/lightly fished bodies of water, and larger baits will catch the larger apex predators on any given body of water - but for me, to maximize my time and catch on the water, I will be downsizing this season. One of the lures I will be throwing that falls perfectly into my category of smaller and detailed is Yo-Zuri's Pin’s Minnow™. 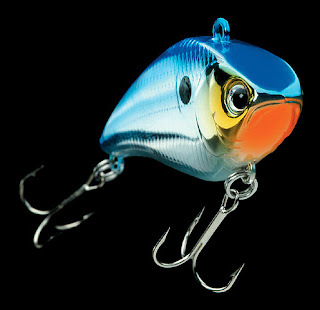 The Pin’s Minnow™ is a realistic, ultra-light floating minnow imitator featuring: an etched finish and gill plates; an internal Weight Transfer System™ (internal steel balls on a track that also contribute to a "single knocker" type of sound) to assure long casts and balanced action (2 3/4“ + sizes only); a durable molded body; ultra-sharp, sticky and strong VMC® Cone Cut® treble hooks for sure hook sets and fast jaw penetration; and stainless steel split rings. The Pin’s Minnow™ excels in fast-flowing streams or for fast retrieves, but does just as well when jerked and paused. This bait will dive up to 2 feet. I suggest throwing the 2-3/4" 1/8 OZ version on a light to medium action reel and rod combo, with complementing thin-diameter super line. Tip: tie the line directly to the bait's line eye or split ring to get the most action from the lure. This minnow will go to great lengths for you on the cast - all 2 3/4" Pin's Minnows have an internal weight transfer system consisting of shifting steel balls, assuring long casts and balanced action on the water. Topwater Bottom Line: If you are looking for a quality, long-casting small minnow bait, look no further than Yo-Zuri's Pin’s Minnow™. At $7.95 per unit, you get a wonderfully detailed and brilliantly engineered performer that is a proven fish catcher. Its slender profile and darting action will bring fish out for a meal no matter the pressure or general target species education level. As always, please practice catch and release with this lure. The GLASS MINNOW colour pattern has a fantastic subtle quality that fish will find irresistible (see bottom left: TGLM - Glass Minnow). Tip: use light colours for early morning or clear skies and darker colours for evening or overcast skies.